What should be an economic decision has now been clouded by controversy, with political pressure to push through the nuclear-build and the increasingly apparent rewards it would bring to politically linked individuals. The nuclear expansion-programme needs to be considered exceptionally carefully given that the required financial commitment is roughly equal to the total South African annual tax revenue. Loan-repayments could place a devastating long-term burden on the public and on the economy as a whole. South Africa is in the process of massively expanding and modernising its electricity-generation capacity. The government-driven Integrated Resource Plan aims to increase total capacity from 42,000MW (peak demand of 39,000MW) to 85,000MW (peak demand of 68,000MW) in 2030. A key component of this plan is the construction of facilities to produce 9,600MW of nuclear-power. However, this aspect of the plan has been challenged. The biggest concern is that nuclear-power is too expensive for the country. The debate gained momentum when the 2013 update to the 2010-2030 electricity-plan found that electricity-demand is growing slower than originally anticipated. Peak-demand in 2030 is now expected to range between 52,000 MW and 61,000 MW. There is consequently widespread belief that new nuclear-power stations can be delayed considerably. 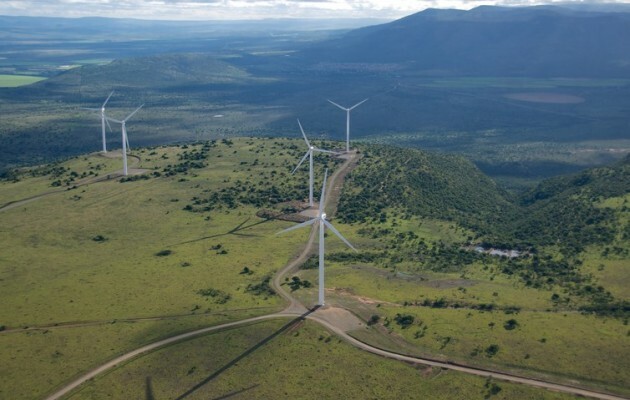 South Africa has had remarkable success with speedy, cost-effective installation of renewable energy power-plants. 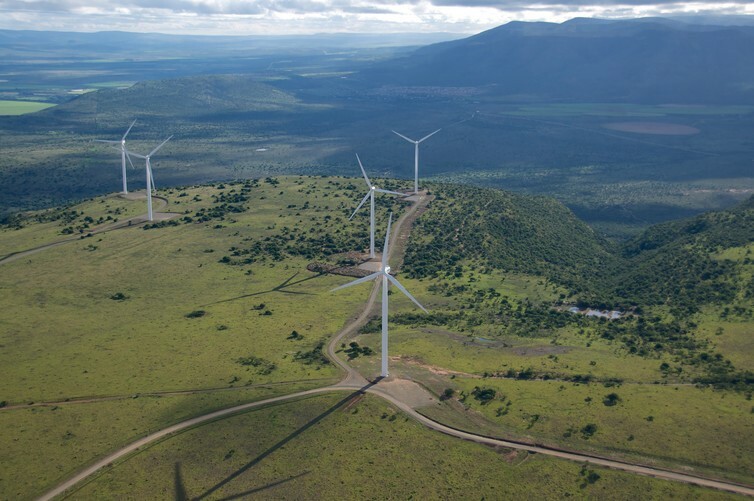 In addition to this, technologies for harvesting South Africa’s plentiful wind- and solar-nergy resources are rapidly becoming cheaper, raising the question of whether the country should not invest more in these options rather than in going nuclear. The argument that nuclear-energy provides a stable base-load, independent of weather conditions, is mitigated by improvements in energy-storage technologies. But also by the fact that South Africa, with its large coal-power production, has a proportionally higher base-load than many highly developed industrialised countries. The pro-nuclear option is therefore not unavoidable, as nuclear-proponents suggest, but rather a matter for thorough economic consideration. The nuclear-debate gained a political dimension when President Jacob Zuma and his Russian counterpart, Vladimir Putin, started to develop an unusually close relationship. It culminated in an announcement that the Russian nuclear-developer, Rosatom, had been awarded the potentially highly lucrative contract to build the new reactors. The agreement was later denied. Rosatom was considered the preferred contender, with other bidders only there to lend the process legitimacy, according to some observers. The lack of transparency surrounding the process, coupled with a history of corruption in South African mega-projects like the arms deal, has made the whole scheme seem suspicious to the broader public. A crucial thread in this saga involves the Shiva uranium-mine, about 30km north-west of Pretoria, the country’s executive capital. It originally belonged to a company called Uranium One, a subsidiary of Russia’s Rosatom. It was sold in 2010 to Oakbay Resources, a company controlled by members of the politically connected Gupta family and the president’s son, in a deal that greatly surprised economists. The mine was deemed unprofitable and thus unattractive to other mining companies. But it was still considered worth a whole lot more than the R270 million paid by Oakbay. The mine would, however, become highly profitable if it became the uranium-supplier to the new nuclear-power stations. Oakbay and its associates therefore have a very strong incentive for this nuclear-build to happen. It is here that the nuclear-build drama feeds into the recent major controversy surrounding alleged state-capture, meaning a corrupt system where state officials owe their allegiance to politically connected oligarchs rather than the public interest. This was highlighted by the shock dismissal of Finance Minister Nhanhla Nene, a reported nuclear-build sceptic, but also by subsequent allegations of ministerial positions being offered to people by members of the Gupta family. The nuclear-build’s association with the Zuma-faction in the governing African National Congress (ANC) will be a political hot potato for decades to come. The whole scandal also offers potential opportunity to opposition-parties. With increasing evidence of individuals benefiting, opposition parties have found another spot to exploit, as they did with Nkandla. A post-Zuma government would find it most convenient to simply dissociate itself from the whole scheme. The South African courts have been used very effectively by pressure-groups in the past. Already a number of environmental groups have initiated legal applications, and these might end up being escalated to the Supreme and Constitutional Courts. This will delay any building initiative by years. The South African experience with the 2010 World Cup has shown that mega-projects can come to fruition when there is broad overall support for the initiative. At the same time, South Africans can be very disruptive and obstructive when this is not the case. For example, the public opposition to e-tolling, an electronic toll-collection on certain roads. The two leading opposition-parties, the Democratic Alliance and the Economic Freedom Fighters, have already expressed their strong criticism of the planned nuclear-build. Their supporters and civil-society in general have demonstrated their capacity for mobilisation around specific issues. So the potential for an anti-nuclear protest-movement cannot be discounted. Building these plants is a risky business proposition, especially for Rosatom, which is implicated in the developing scandal. The recent political mood-swing against state-capture and a likely credit-rating downgrade add to the risk. Rosatom has suggested a nuclear-build financing-option that effectively amounts to it providing a loan. It is, however, conceivable that a future government may not honour debt-repayments if there is a view that the construction deal was secured irregularly. The narrow public support-base and downright hostility in some quarters to a nuclear-build has already effectively stalled local nuclear construction-plans. The level of controversy, high costs and potential for further disruption mean that the planned implementation could only proceed under severe social strain. Such a scenario could very well cost the governing ANC the 2019 national elections. And the party is becoming increasingly aware of this. As such, it is posited that the nuclear-build will not happen any time as soon as planned.